The Parliamentary Assembly of the Council of Europe adopted a resolution condemning the actions of ISIS in the Middle East as genocide. What the Council of Europe is exactly saying? It notes with great concern that many of these recent terrorist attacks are claimed by, and may be attributed to, individuals who act in the name of the terrorist entity which calls itself Da’ish and who have perpetrated acts of genocide and other serious crimes punishable under international law. States should act on the presumption that Da’ish commits genocide and should be aware that this entails action under the 1948 United Nations Convention on the Prevention and Punishment of the Crime of Genocide. This is the first time that Daesh atrocities are officially defined as “genocide“. Next week the European Parliament will discuss a a similar resolution (planned on Wednesday, 4th February). Dutch Member of the Parliamentary Assembly Pieter Omtzigt introduced the successful amendment which makes clear that ISIS has been committing genocide. “Under the UN Convention on the Prevention and Punishment of the Crime of Genocide, countries are obliged to take positive action to prevent crimes of genocide,” said Mr Omtzigt. “It is important that the atrocities of Daesh are called by the right term: genocide. It is also vital that this should be recognised by the European Parliament next week,” comments Leo van Doesburg, EU Affairs Director of the European Christian Political Movement. “Actions now have to be taken to stop this and to save the lives of so many brothers and sisters there,” concludes Mr. van Doesburg. 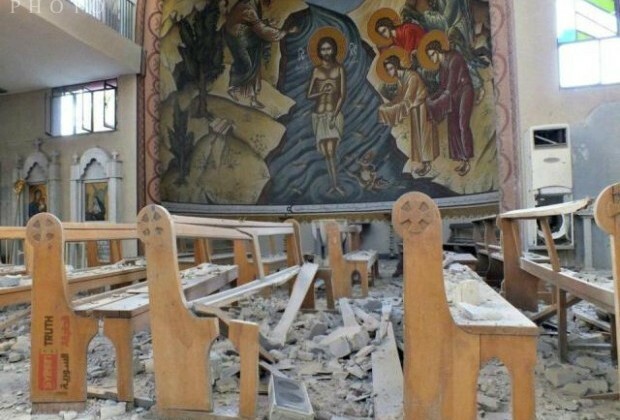 “The Council of Europe has responded to clear and compelling evidence that Christians and other religious minorities in the Middle East are victims of genocide,” said Laurence Wilkinson, Legal Counsel for ADF International.